There are a lot of reasons why the Yamaha EF2800i (2800W) inverter generator deserves your attention. It’s the lightest generator in its class (68 lbs.) due to the design of using a multi-pole rotor with a small stator. It’s ultra-quiet (64-68 dBA). Automatically optimizes power load according to the devices plugged in (smart throttle). And so much more, which we’ll discuss later in the article. If you’re impatient and just want our advice — if you can afford it, then buy it. If you’re looking for professional build quality made with love and attention to detail then this is one of the best inverter generators your money can buy. It’s not cheap because it’s a pro-grade generator. If money is your main concern then read our article : Best Inverter Generator; as we cover a wide range of brands and models for every budget. If you’ve ever been caught with the power out, you know how inconvenient it can be. Having your own generator is the perfect solution. You’ll be able to keep the lights on, keep your food cold, and keep your home warm even in the biggest blizzard or worst hurricane. We’re looking at three different generators : Yamaha EF2800i (2800w) and Yamaha EF6600DE, along with Generac’s 5846 (XG8000E). We hope you find this article useful. We wrote it for you. Weighs just 68 pounds — the lightest generator in its class. Pulse Width Modulation (PWM) so wavelength distortion is less than 2.5 percent. Yamaha’s patented Oil Watch warning system automatically shuts down the engine if the oil gets too low. This prevents engine damage, minimizing down time. Note: We go into all the features later in the article. Let’s learn some generator basics first. Why Invest in a Generator? There are a few reasons why you might invest in your own generator. It goes beyond convenience and comfort, and into safety and cost. Anyone who has ever lost power knows that they rely on electricity for just about everything. During the next emergency, your family will appreciate the convenience of keeping the power on while the rest of the street goes dark. Generators are pretty cheap and fuel efficient, especially when you compare them to models that were popular 20 or 30 years ago. They’re a lot quieter than they used to be, too. If you have it stuck in your mind that generators are loud, expensive, and smelly, you might be surprised at just how much they’ve improved. 3 year warranty : Covers the entire generator for defects in parts & workmanship. You can hook up a generator directly to your home’s breaker box, or run an extension cord to a power strip. However you use it, portable generators are a cost-effective solution when you absolutely need electricity. Some models are even steady enough to power sensitive electronics, although a good surge protector is always recommended if you’re charging your phone or running a laptop or television. Convenience is another big factor when people are considering whether or not they need a generator. 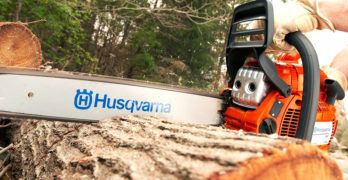 Maybe you have a portable air compressor, electric chainsaw, or high-power work lights. Sometimes running a few hundred feet of extension cord just isn’t a good option. Being able to have power in the field, whether you’re in the backyard or on a job-site, is a great reason to buy your own generator. When it comes to cost, convenience, safety, and comfort, the Yamaha EF2800i is obvious choice. It’s small enough to be portable, but big enough to keep the lights and heat on as needed. Being able to keep your food cold, your lights on, and your house warm are the biggest benefits to having your own generator. But really, having electricity in an emergency is a huge plus in and of itself. It’s hard to predict exactly what will go wrong when the power goes off, and being able to deal with unexpected problems will really help your peace of mind. For instance, a lot of people lose power in thunderstorms. If you have a basement or crawlspace, it’s likely that you’re running a sump pump. Without a generator, you could lose power to your sump pump right when you need it the most — and your home will end up suffering because of it. Running your sump pump off of a generator in a driving rainstorm is one of the perks of having your own generator. Keeping your refrigerator and appliances running during an emergency is another big benefit, especially if the weather makes it difficult to go out. Instead of eating a can of cold beans by candlelight during the next snowstorm, you could be enjoying a nice meal in your warm house. It almost goes without saying, but you’ll also cut down on wasted food during extended power outages too. Finally, if you lose power during a winter storm, your house will cool down in a hurry. You might not have given it much thought, but the furnace in your home needs electricity to keep the blower running and the electronic relays working properly. Even a small generator is enough to keep your furnace running during the worst snow and ice storms. That could mean the difference between riding out the storm in style or spending a few days huddled under blankets in a freezing house. All of the generators that we’re covering will help keep your appliances on when the power goes out. But not all of them are equal. The Generac’s 5846 (XG8000E) is large enough that mst homes will be able to run all of their major appliances without worrying. With the Yamaha EF6600DE, you’ll need to be careful how you use your appliances, for instance you might not be able to run an electric dryer at the same time as a microwave, but it will cover the bases. The Yamaha EF2800i is the smallest model, but it’s big enough to keep the furnace, refrigerator, and some lights on. If you’re unfamiliar with generators, there are a few things you need to understand before you buy one. The most important thing to keep in mind is that generators are rated in watts. Ask any electrician, and they’ll tell you that watts are a measurement of total energy running through a system. You also need to understand how to measure the electricity that you use. If you think of your home’s wiring like a water pipe, volts will tell you the diameter of the pipe and amperage will tell you the how much water is flowing through the pipe. Multiple the voltage by the amperage, and that’s wattage. To keep the analogy going, wattage is a measure of your water pressure. In order to find the maximum amount of wattage that your home could possibly use, you can look at your breaker box. Each breaker has a rating on it in amperage. Most of them will say “10” but you might have a few that say “15” or “20” too. Count up all of the numbers and multiply by 120, which is the standard voltage in the US, and you’ll have an idea of the absolute limit of your energy needs. Call that your maximum wattage. You can’t go wrong with Yamaha generators — they are all equally excellent. Now, there’s no home anywhere that constantly runs at its maximum wattage. But it’s a great starting point. According to the US Energy Information Administration, the government body that keeps track of things like this, the average house uses 1250 watts every hour. The average home is also rated at a maximum wattage of 14,400. That means you use roughly 10% of the total available power at any one time. But that’s not the whole story. There are peak times, like when you’re running the dishwasher, television, electric dryer, and furnace blower all at once. You have to take all of those energy needs into consideration, and maybe even adjust your habits when you’re running on a generator so that you keep your power consumption steady and eliminate peaks. As a rule of thumb, you need a generator that can power at least 25% of your home’s maximum wattage. And the larger the generator that you buy, the less you have to worry about home many appliances you’re running at any given time. Do the math yourself. The Generac’s 5846 is large enough for just about every home, but if you can get away with less you should. For more advice on generator sizing read our article entitled: What size generator do I need? Visit the Yamaha site for more information on generator sizing. Honda also has some great resources for selecting the right generator size, such as their wattage calculator. If you’re going to power your home with a generator, the odds are good that you’ll need an energy transfer switch. To be clear, it is possible to patch in a generator to a breaker box in an emergency, and a lot of electricians have done it before when the lights go out, but if you don’t know what you’re doing it’s a surefire way to fry your appliances or even start a fire. Transfer Switch for Generators up to 12,500 Running Watts. Energy transfer switches make it easy to plug in your generator, turn it on, and power your home. You really need to consider getting an energy transfer switch installed if you’re going to hook a generator up to your house. If you only need a generator for access to electricity in the field, this isn’t a concern. There are a few different types of energy transfer switches, depending on how big your generator is, whether it’s portable or stationary, and how much money you want to spend. But at their core, transfer switches just make sure that your home won’t be running on a generator when the lights come back on, which would be a very bad thing for everything in your house. Without an energy transfer switch, you run the risk of frying your appliances, melting your outlets, or even starting a fire. The best switches are automatic, but even a manual one is a lot better than just patching in your generator. Shop around and talk to a professional for an installation. Why Choose A Yamaha Generators? To be honest, there are a lot of great generator brands on the market. Generac makes nice units, and so does Champion, Duromax, and a few others. But Yamaha really stands out above the rest. Yamaha generators are used everywhere around the world, in war zones and during natural disasters, in order to keep the lights on. There are a few reasons why professionals choose them. The first thing you need to know about Yamaha generators is that they’re some of the most advanced models on the market. Even their smaller generators have features like automatic start and stop, carbon dioxide monitoring, and electronic controls that smooth the output voltage and prevent spikes. Yamaha in general is known for packaging new technology into old designs, bringing them up to modern standards. Since the core of your generator is an engine, it helps to pick a company that knows what they’re doing when it comes to producing gasoline engines. Yamaha does. They don’t just make generators, they also make a lot of other products, like motorcycles and ATVs, that run on small and mid-sized engines. You can count on them to produce a generator that starts up easily and runs for a long time with a minimum of maintenance. Yamaha engines are some of the best around. Another thing that Yamaha does very well is efficiency. Yamaha generators are extremely fuel efficient, making every drop of gasoline count. Part of that comes from their experience with small engines in general, but Yamaha is also known for their high-quality engineering. Their experience with small engines and high-tech engineering happens to dovetail really well in applications like this. The Yamaha EF2800i and Yamaha EF6600DE are great illustrations of Yamaha’s strengths. They are well-built, with advanced features that we’ll touch on below in the actual review. Both Yamaha generators use engines built exclusively for each model. Finally, Yamaha is a relatively old company when it comes to producing generators. In fact, their midsize model, the Yamaha EF2800i, is an updated version of a generator that they’ve been making for 50 years. They’ve had a long time to work out the bugs and figure out exactly which features their customers need. Yamaha generators have features like load-matching and oil warning systems that they’ve implemented because they’ve seen that they’re a good fit for generators in the field. There’s one key difference between starting watts and running watts. Starting watts are temporary. When an electric motor starts, it takes more energy to get it up to speed than it does to keep it there. After an electric motor runs for a minute, the energy it takes to power it stabilizes. Starting watts are the peak over-wattage that a device requires to get up and running. Being the largest of the three generators, the Generac 5846 has the most capacity for starting watts by a long shot. The Yamaha EF6600DE comes in a close second, with the Yamaha EF2800i offering the least amount of starting watts. You’ll barely know it’s running. Plenty of power for most applications. The Yamaha EF2800i is the perfect small generator for homeowners who need to keep the essentials running in tough conditions. It’s light enough that it can be moved out into the field if you need power on the go. This is the perfect all-purpose generator for anyone who needs to bring a source of power with them wherever they go. GFCI (Ground Fault Interrupter Circuit) — Helps reduce the risk of shock. OHV engine — Efficient, reliable and quieter. Pulse Width Modulation (PWM) : Wavelength distortion is less than 2.5 percent. Safe to run all sensitive electronics. Smart Throttle feature automatically adjusts engine speed to match the load. Run-time of 14.7 hours at ¼ rated load. Cast iron cylinder lining — Increased engine life. Dependable. Oil Watch Warning System — Prevents engine damage by shutting down if oil levels are low. Noise suppressor — Minimizes electrical interference with TVs and radios. Specially designed muffler — Reduces noise and weight. EPA & CARB Compliant — Yamaha generators have the longest emission engine life ratings issued by the environmental Protection Agency and the California Air Resources Board. 50 state legal — Meets emission regulations, including CARB. Can be sold in California. ✓ View or download the FEATURES & SPECS for the Yamaha EF2800i. One thing you should pay attention to above all others is the Yamaha EF2800i’s electronic control system. It features a pulse width modulator, which makes it safe to power electronics using this generator. It also packs in an advanced multi-pole alternator, which keeps the weight down while still providing plenty of power to your appliances. Best in its class. You won’t find a better size to power ratio in a generator. Another electronic feature that the Yamaha EF2800i makes good use of is its economy control electric governor. This feature reduces the amount of noise and fuel that the generator uses under a light load. Effectively, the EF2800i only gives you as much power as you need at the time, letting it run more quietly and efficiently when you aren’t using it at full capacity. Like the Yamaha EF6600DE, this generator makes use of cast iron cylinders. That means you can expect better long-term wear protection and smoother running even over long periods of use. Coupled with the oil warning system, it’s nearly impossible to accidentally ruin the Yamaha EF2800i. The generator is built to be stored for long periods of time, then started up and run hard when you need it. We recommend the Yamaha EF2800i for anyone who needs to bring power with them on the go. It’s perfect for homeowners who only need to run a few appliances when the power’s off, but it’s just as good for bringing power into the field with you. This is an extremely high-quality lightweight generator with a ton of amazing features that make it stand out. Auto Voltage Regulation ensures the correct voltage for your electrical devices. The Yamaha EF6600DE is the Yamaha EF2800i’s bigger brother. It’s got more starting and running wattage, along with a few features that the smaller generator doesn’t have. If you’re looking for a midsize generator for your home, the EF6600DE is a great choice. And for a smaller version of the same generator then look at the Yamaha EF4000DE (4000w) — Same generator but less power and less money. Once you know how much power you need it’s easy to choose the right model. And it’s always better to get more power than you think you need rather than get a generator with not enough power. Trust me, you’ll want more power in those moments when you need it the most. Also, a larger generator will run longer. ✓ View or download the MANUAL for the Yamaha EF6600DE. ✓ View or download the ENGINE MANUAL for the MZ360 Yamaha Engine. Some of the biggest features that the EF6600DE delivers are an advanced system for determining load. The gist is, that the generator only works as hard as it needs to. If there’s not much load, the EF6600DE will run more quietly and use less fuel. When you need the extra energy, this generator kicks into high gear and gives it to you on demand. Capable of powering most homes in an emergency situation. Another nice feature is the oil warning system. Although it’s standard on newer generators, it’s a big help if you’re storing this generator before pulling it out and using it. If your oil is low, you’ll hear an audible alert so you can top it off before you accidentally damage the engine. The EF6600DE is capable of putting out both 120 volt and 240 volt AC power. That means you’ll be able to run large appliances, like dryers, some electric stoves, and a lot of industrial equipment without a problem. Finally, this generator is built to last. It uses cast cylinder walls, which will keep the Yamaha EF6600DE running smoothly for a long time. Less expensive generators use metal inserts in an aluminum block, so having a cast block is a big plus. It also features a brushless alternator, in order to eliminate wear and tear on the alternator even if you run it for long periods of time. Everything about the Yamaha EF6600DE is optimized for long-term use, which makes it an excellent choice for situations where the power will be out for days at a time. We recommend the Yamaha EF6600DE if you need more power than the Yamaha EF2800i can deliver. It’s built more ruggedly than the EF2800i, but is still much less expensive than the larger Generac 5846. It’s a great choice for just about every homeowner who needs to keep the power on when the rest of your neighborhood goes dark. ✓ If you want something smaller than the Yamaha EF2600 (2600-watts) might be what you need. Power your whole house, use it for a job-site or be prepared for a disaster. The Generac XG8000E is a big generator with plenty of power to spare. It’s packed with premium features, and can generate enough wattage in order to keep the lights on in your home for days at a time. Generac OHVI engine incorporates full pressure lubrication with automotive style spin on oil filter for longer life engine. PowerBar : Monitors power wattage. Illuminated LED control panel : Easy to keep track of everything, even in the dark. Big steel fuel tank : Integrated fuel gauge provides durability and extended run times. Low-oil pressure shutdown: If the oil gets too low, the engine will shut down. Covered outlets : Protected from the weather and accidental damage. Full-wrap, heavy-duty, 1.25″ steel tube cradle — strong and durable. Heavy-duty, 9.5″ Semi-Solid Wheels. Never flat. Ergonomic : Well laid out engine controls make it easy to use. Fold-down, locking handle : Ideal for storing and moving around. Plug-in battery charger jack : Necessary to keep battery charged and ready. View or download the WARRANTY. The biggest feature of the Generac 5846 is its power. This model can put out 10,000 starting watts and 8,000 running watts. That’s enough to power everything in your home, or run multiple industrial appliances. Having this amount of power at hand allows you to run whatever you need to without worrying about whether or not you’ve got wattage to spare. If you plug it in, it will just run. Ideal for a construction site to keep your power tools running all day. There’s no doubt that the Generac XG8000E is heavy, which is what you’d expect. But this model has sturdy wheels and an outer steel frame that will let you roll it wherever you need to. You’ll still have to heft it into the bed of your truck, but after you get it where you want it you can reposition this generator just by rolling it around. That’s an excellent feature if you need a lot of power but aren’t sure whether or not you can handle all of the weight by yourself. Since you’re dealing with so much power, it’s helpful to be able to visualize what you’re using and what you’ve got to spare. Generac makes it easy with an integrated LED control panel. The panel gives you a convenient spot to monitor power output and voltage, which sets it apart from the other two Yamaha models. Finally, Generac has included an automatic shutdown mode for low oil. Unlike the Yamaha models, the 5846 won’t alert you, it will just shut off. Still, that’s better than allowing it to overheat and damage the cylinders. It’s a small feature, but if you ever need it you’ll be thankful to have it. All the outlets have a cover to protect them from the environment. We recommend the Generac 5846 for homeowners who need a ton of power. At 8,000 running watts, the Generac is big enough to keep the appliances and furnace running at most homes. It’s a great choice if you need way more power than the other two Yamaha models have to offer. In a lot of ways, taking care of a generator is a lot like taking care of any small engine. Electronics and wiring aside, they’re not a lot different than servicing a motorcycle or a riding lawnmower. You’ll need to change the oil, add a gas stabilizer before putting them away for the winter, and make sure the plugs aren’t getting fouled up. Just like other engines, generators have fuel filters, oil filters, and air filters that will need to be serviced and occasionally changed out. Working on a generator is easy enough that you can do it at home. Unlike a car, generators are easy to service because everything you need is pretty accessible. You won’t find yourself having to take off the fuel tank just to get at the parts underneath. If you’re not mechanically inclined, there are a lot of options for generator service and repair. If you live in a city, you might be able to find a dedicated generator service center. But even if you’re in a small town, you’ll usually be able to get a small engine mechanic who is willing to take a look at your generator. In general, if you have a starting problem with your generator it’s going to be one of a handful of pretty basic problems. Either you have stale gas, you’re not operating it correctly, or there’s a problem with the spark plug. Stale gas can be prevented by storing your generator dry or adding a fuel stabilizer. Spark plugs are quick and easy to change if you notice them getting fouled. And as far as operator error, usually it’s as simple as making sure you’ve switched the generator on before trying to start it. But in specific, smaller generators often need more maintenance than larger ones. The reason being that small engines run at a higher RPM, which puts more wear and friction on pistons and breaks down oil much faster. Of the three that we’re looking at, the Generac 5846 will need less routine maintenance than the Yamaha EF2800i and Yamaha EF6600DE. The electrical components in your average generator don’t require much in the way of servicing or maintenance. The one exception being the battery, which needs to be kept in good condition in all of these models. Look after your battery like you would your car’s battery, test it if it seems weak, and replace it if your generator refuses to start. Most generators use solid state inverters and traditional automotive-style alternators. If your generator is running but not producing electricity you’ll need to have it serviced, but aside from that there’s not much you can do to keep the electrical side of things running smoothly. Keep it dry, and you won’t have any problems. Video | How Much Power Do You Need? The first and most important safety rule is to never run your generator in an enclosed space. And especially never run it inside of your house. It might seem obvious, but every year people poison themselves and their families by running their generator indoors during a snowstorm. Even if it’s outside, make sure you’ve got enough ventilation. Carbon monoxide and carbon dioxide are produced by running generators. Don’t let them build up. Another important safety rule is to store your fuel away from the generator. The electrical components inside of modern generators don’t produce much in the way of sparks anymore, but there’s always a chance that something could go wrong. 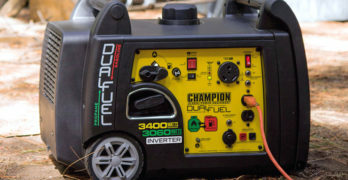 It’s best to store your fuel well away from any running generator just to stay safe. You should also be careful not to continue running a generator if it’s making a lot of noise or vibrations. Improper lubrication can cause a generator to seize up, but before it does it will get extremely loud. Whenever you refuel your generator, take the time to check things over and make sure they’re running smoothly. Turn off any generator that’s making odd noises or shaking excessively. Aside from those safety rules, you should handle your generator just like you would any other industrial appliance. Don’t let any children play around it, don’t use it on uneven surfaces, and don’t operate it if it’s getting excessively hot. Common sense is the best tool you have to make sure that you stay safe around your generator.